In the Deep South of London, down a main road, and then further down it lies an Aladdin’s Cave of fiery spices, aromatic scents and intense, slow cooked flavour. Apollo Banana Leaf is without a doubt one of my favourite restaurants in London and I’ll be eternally grateful to my friend Will for taking me. Check out his blog (Will Never Fly) – he has some great restaurant recommendations and his clever posts and witty writing will have you laughing all day! Although technically it’s a Sri Lankan restaurant, a lot of the food is very similar to South Indian food. Whenever I eat here and savour the familiar notes of mustard seeds, coconut and curry leaves, my mouth feels like it’s come home. Walking into the restaurant, you’ll feel like you’ve wandered into a tour agency for one of the great American national parks. 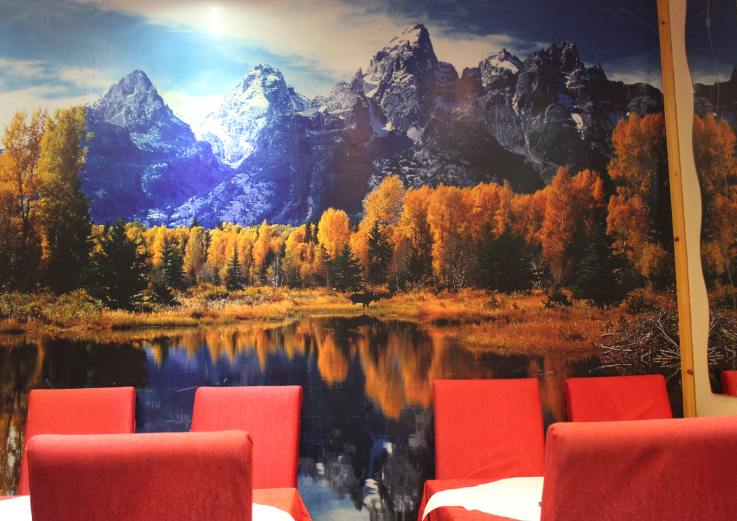 The walls are plastered with giant images of craggy mountains, verdant pine trees and the expansive blue sky. If you look closely you may even spot a buffalo grazing in the distance! I’m sure the reason is just that the owner couldn’t be bothered to redecorate the place when he moved in, but part of my likes to think he’s a Sri Lankan with a feverish love for nature. Either way it’s not your usual South Asian restaurant! There are 3 dishes on the long menu that I crave above all others and that’s because in my opinion, I think they’re the best . These delicious fried snacks are made with flakes of fish mixed with mashed potatoes and a number of different spices. They’re then covered in bread crumbs and fried – pure deliciousness! I make these myself with tuna but only use coriander, chilli, lemon and ginger by way of spices. I’d love to learn what else are added to the cutlets at Apollo Banana Leaf to get the depth of flavour that mine sadly lack. The mutton roll is another staple of South Indian & Sri Lankan cuisine and one of my favourite snacks. 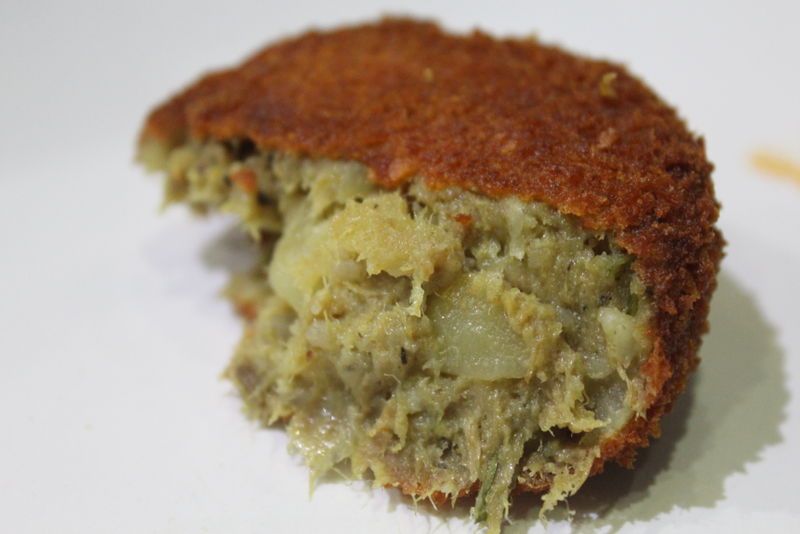 It’s pretty much just a meat version of the fish cutlet – so mutton, potato, ginger, garlic and other spices cooked together and then covered in breadcrumbs and fried. 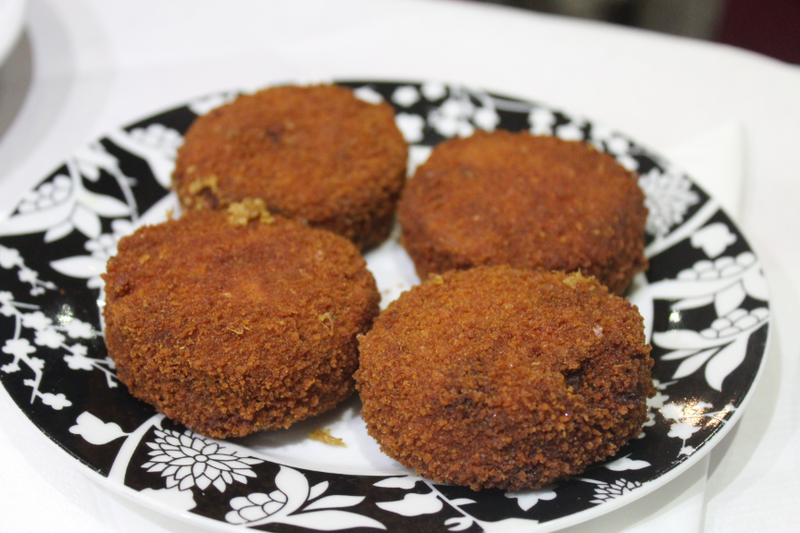 While I love the fresh flavour of the fish cutlet, the rich meaty flavour of the mutton is so deep! 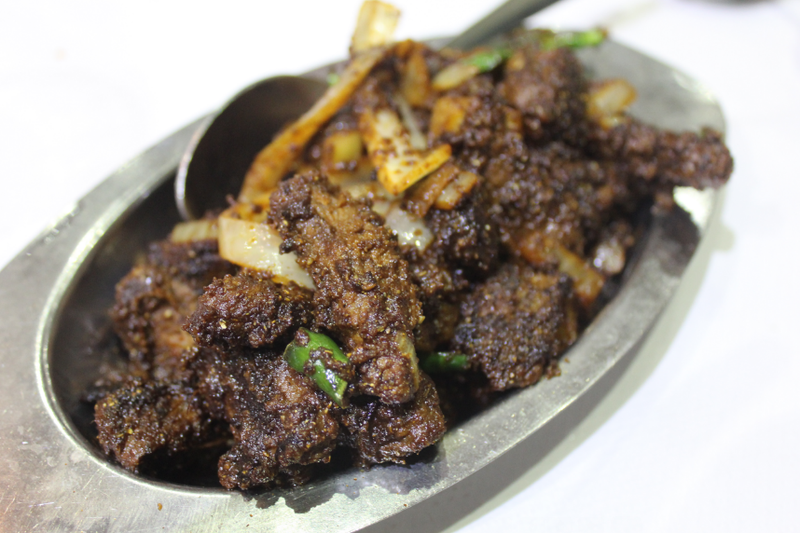 Last but not least, my absolute favourite dish here is the devilled mutton. This darkly spiced, sizzling dish tastes like it’s been marinading forever: every thread of the meat is soaked with flavour and aromas. The first taste to hit you is cardamom. I absolutely love cardamom but usually only get that intense hit with sweet dishes like kulfi or lassi. I really need to experiment more with cardamom in savoury dishes as it’s fragrant notes are a perfect foil to the earthy mutton flavour and the intense spice, lifting it out of mundanity into something really special and unusual. 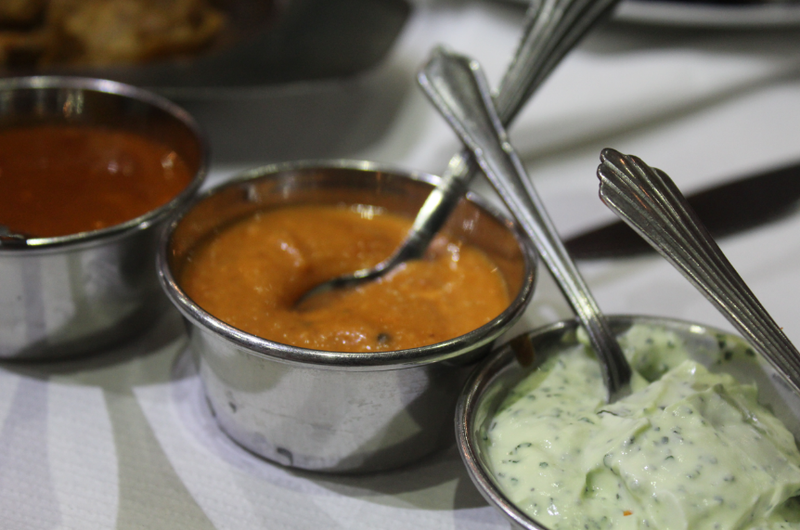 Apollo Banana Leaf is located very close to Tooting Broadway tube station (on the Northern line). Though it’s pretty far from central London, you will not regret the journey. In fact you’ll probably find yourself haring back regularly for a hit of the devilled mutton which is scarily addictive! It’s a great place to impress a date who knows about and appreciates authentic Asian food, but definitely not the right location for those who think a Brick Lane Curry is ‘good Indian food’. It would be wasted on them. I’d also add that spiciness levels are South Asian style – bear that in mind when ordering. The restaurant was recently included in a book called ‘Where Chefs Eat’ which highlights chefs favourite restaurants around London, this means that it’s even more popular than before, so make sure to book! If you go, I hope you have a wonderful time at my favourite South Asian place!